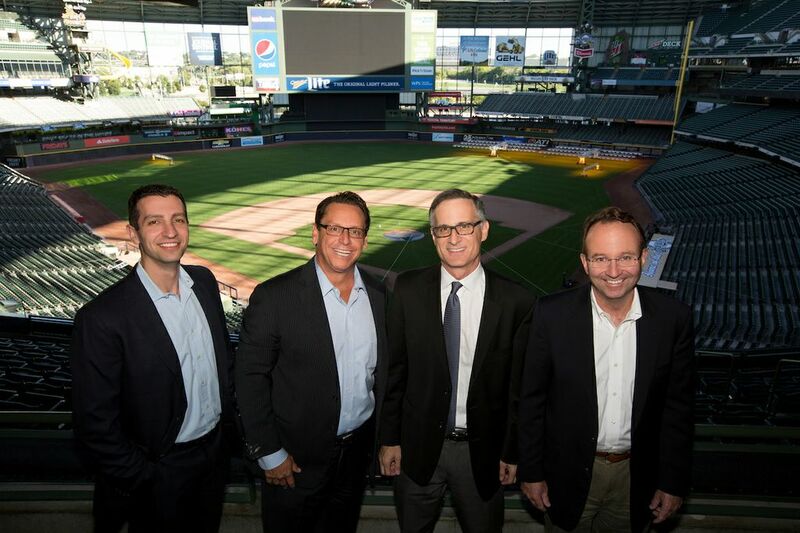 Recently, Associated Bank hosted a leadership event at Miller Park, which attracted over 150 Milwaukee area business executives. During the event, local sports and business leaders shared their successful approaches to “leading with the bases loaded” by effectively managing risk, growth, talent, and efficiency within their organizations. Associated Bank president and CEO Phil Flynn and Milwaukee Brewers chief operating officer Rick Schlesinger opened the event to guests. They were followed by Milwaukee Brewers general manager David Stearns who shared his best practices for recruiting, retaining and developing young talent in baseball. Stewart Wangard, chairman and CEO of Wangard Partners, Inc.
Kate Weiland, vice president for Concurrency, Inc.
During the event a silent auction raising $2,560 was conducted to benefit Housing Resources, Inc. (HRI), a nonprofit organization that provides support to low- to moderate-income homeowners and home buyers in the Milwaukee community.